This premium edition is similar to the executive air edition, however the the air bubble has been designed with modern technology to allow for an even greater level of comfort. 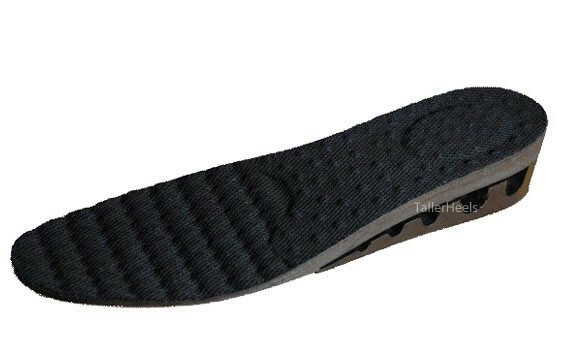 It is a revolutionary design for a modern day height insole with users who desire a need a comfort. Contains a revolutionary new air bubble, which is designed specifically for maximum comfort, particularly on the heel of the foot. 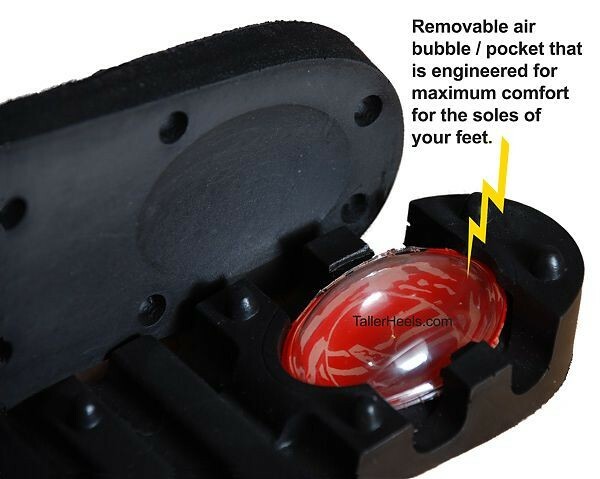 Increase height with the free removable additional layer. Can be cut to fit size of shoe required Can reduce pressure on back and knees when walking - reduce spinal shrinkage with age. 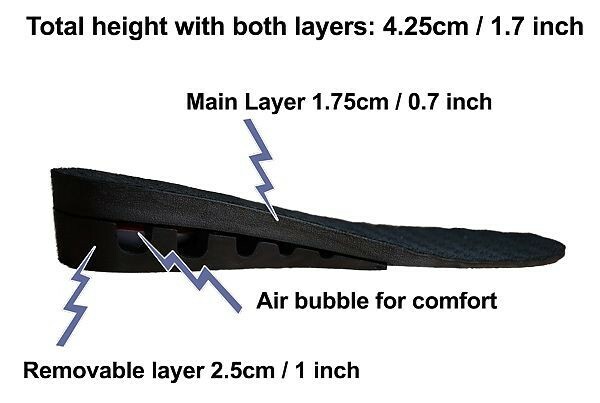 As with some of our other insoles, it is recommended that if both adjustable layers are to be worn with this insole, then shoes having a slightly larger side around the ankle should be worn, however with most standard sided shoes, this insole has been tried and tested to work well.